Omron compressor nebulizer is the best solution for those who need a basic version of it. It treats patients with lower respiratory tract infections in the most hygienic and effective way. The small and handy design makes it easy to carry and use whenever it is needed. It appropriately delivers the correct amount of drug into the respiratory tract and relieves the congestion and obstructions. Unlike most of the nebulizers, it is the quietest of all and ensures that the drug delivery is comfortable. 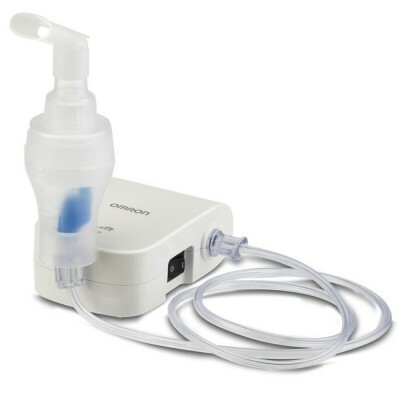 Offering the Omron Nebulizer with fast shipping in Karachi, Lahore, Islamabad, Rawalpindi, Peshawar, Quetta and many other cities of Pakistan.